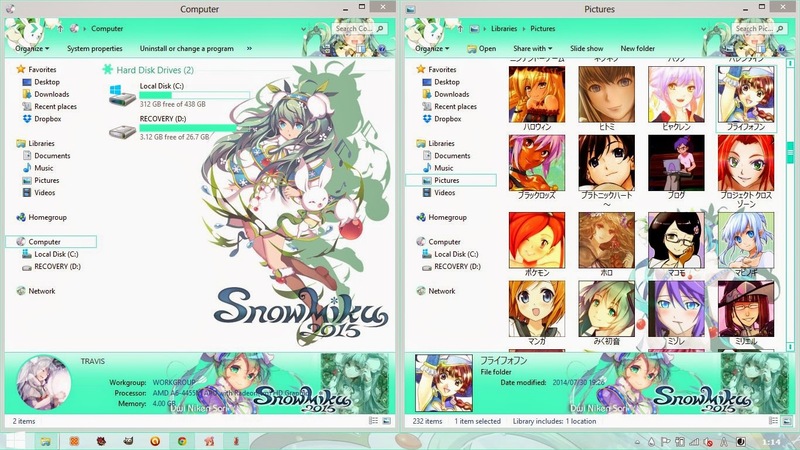 Anime Computer Layout January 2015 "Gentle Snow"
Hello everyone! 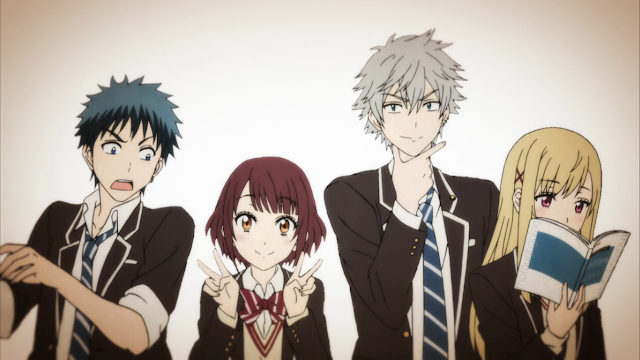 It's been a while since I've made a post, mostly due to the fact that I've been pretty busy. Despite this, I wanted to share something a little different this time around. I finally finished customizing my computer and I've created an ideal anime layout for the time being. 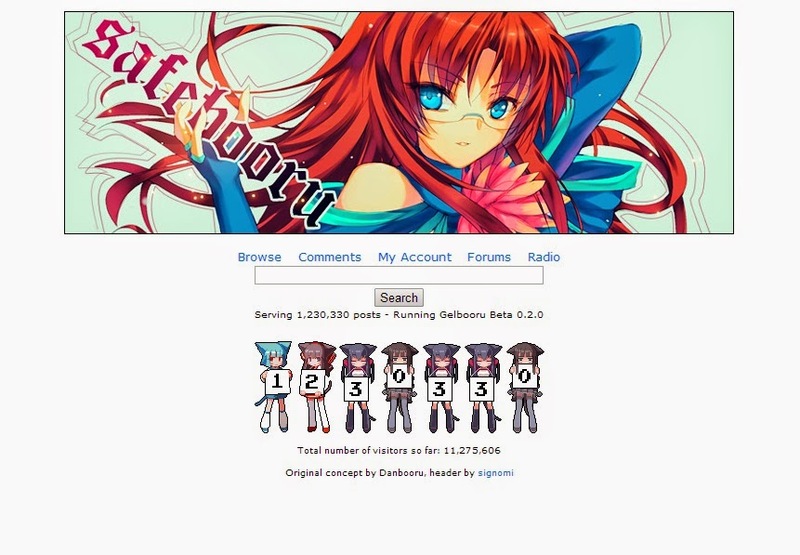 The theme of this layout is well, Hatsune Miku. 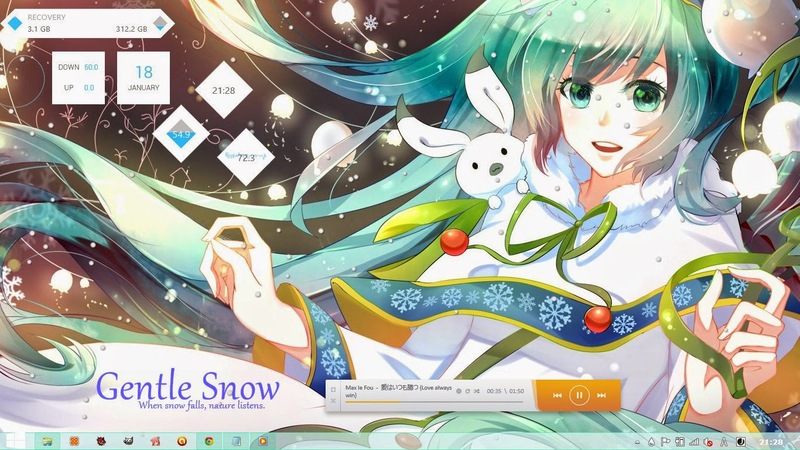 Even though Christmas has ended, the winter months are not over, so I decided to go with a specific Snow Miku theme. This takes advantage of many different tools, custom Windows 8 themes, Rainmeter, wallpaper, and more. I know that I love looking at different layouts and customization, so I hope those who feel the same can enjoy this post. Even if this isn't your kind of topic, please keep reading because you might learn something new! Starting with my desktop, I had a hard time trying to find Rainmeter elements that were able to flow with the wallpaper. The wallpaper doesn't have much negative space, so I had to choose something that was light and simple, but something that still gets the job done. I ended up narrowing it down to a few Rainmeter elements for time, information, and more. However, I wanted something more than that, so I added a music player extension and found a nice spot for the title of this layout, "Gentle Snow." The falling snow and animated music bar underneath the title looks really nice when seen live. Please check out the attached video if you're curious. The desktop was great, and so was the Rainmeter customization, but my computer didn't still have a nice feeling to it. So, I decided to take it a step further. I was finally able to get custom Windows 8 themes to work on my laptop. It was really hard to do before, but for some reasons things just seemed to fall into place. 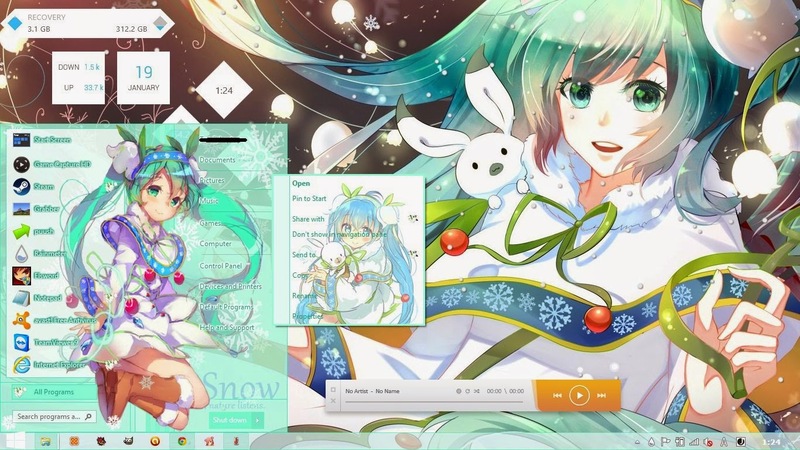 Upon searching for a nice theme, I happened to stumble upon the perfect Snow Miku one, and it was her 2015 version to boot. The theme came with a few nice wallpapers, but I just loved my current one too much. Instead I decided to just keep the customization alone. The nice blue and green colors give my Windows 8 a relaxing feel, and Miku makes it even better. Please check the bottom of this post for the link to this theme. Also, I will provide a link that shows you how to add a custom made theme to Windows 8/8.1 and even how to make your own. Lastly, there's a few extras I added to complete the layout. One of the first things I had to do in order to make use to the beautiful start menu edit, was add Start is Back. It's basically a program that allows you to use the old start menu on Windows 8/8.1. I also wanted to show off a few of the last customization's of the theme, such as the start menu and drop-down list background. 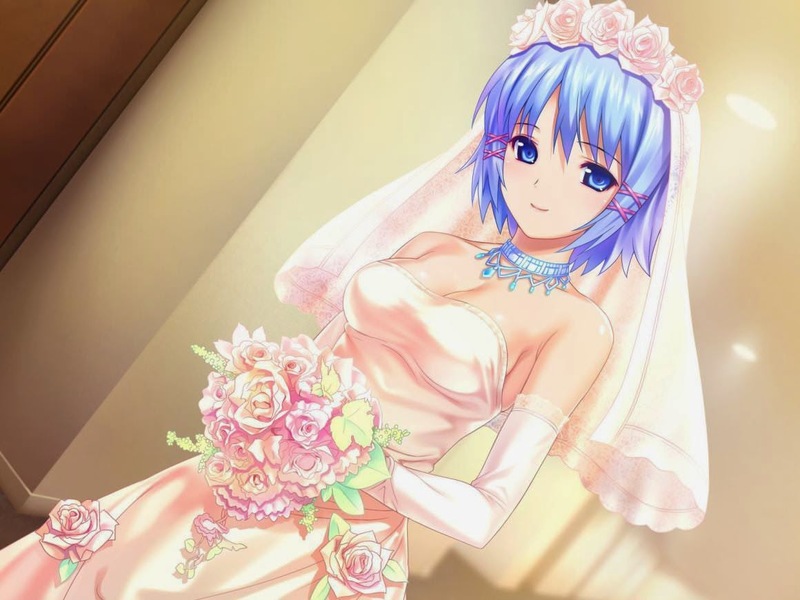 They may seem very minor and unimportant, but the theme is really well done and beautiful. Other than that, I think the falling snow and music visualizer was a nice touch as well. 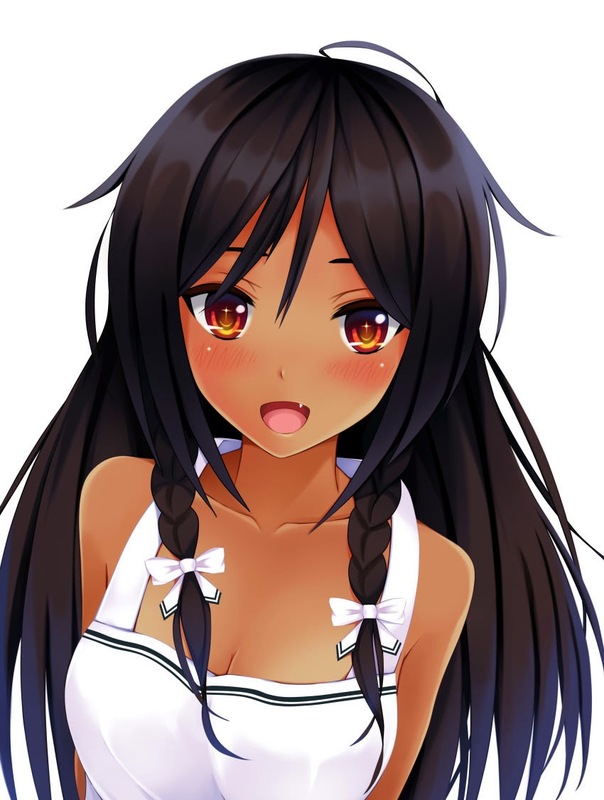 Somehow, the animations don't take too big of a told on CPU, but I usually disable them when I'm doing something that is resource intensive, such as playing an online game. That's pretty much all for now! Please check out the video link towards the beginning of the post for a active preview of the layout and theme. I can understand that. It certainly took me a while, mostly because I wanted to make it perfect. It's kind of like hard work to high reward, because it gives my laptop a nice feel and encourages me to write even more blog posts. Thank you! You're very welcome and thanks for checking out this post. I really appreciate it! Is it able to work on windows 7???? Yes, it should be able to work on Windows 7. In fact, customization is even easier on that OS. 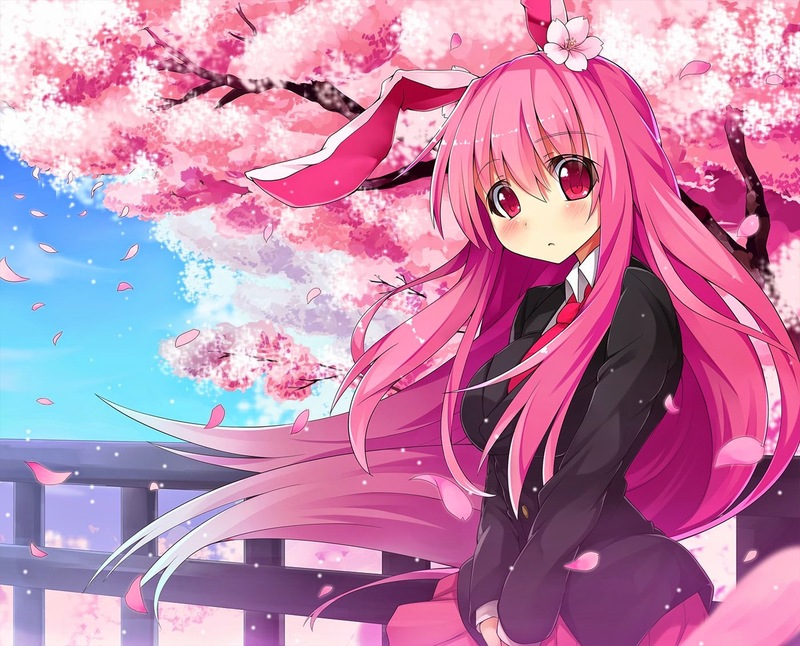 Here's a link to a website that contains the Windows 7 version of the theme. Here is a video to customize your Windows 7. Please be careful though, as there's a chance to go wrong and mess up your computer.